Join us for our third annual Gala Extravaganza and celebrate 50 years of Oregon Public Beaches! 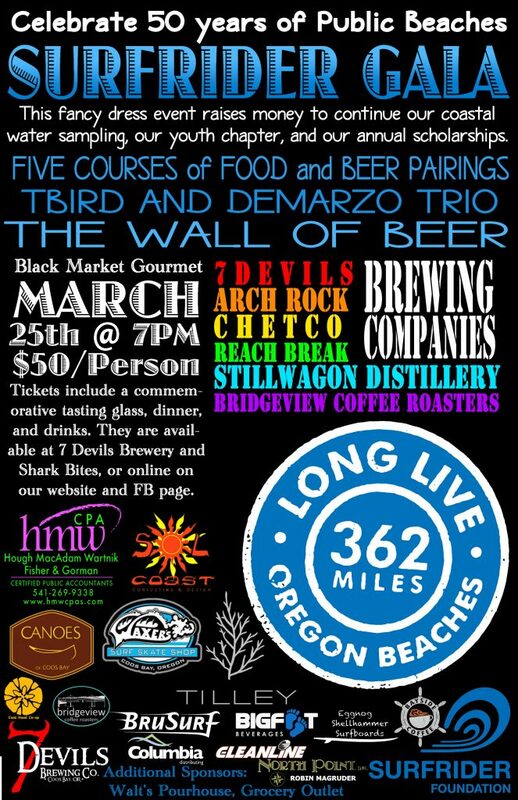 The event features 5 courses artfully created by Black Market Gourmet, paired with Oregon Coast microbrews from 7 Devils Brewery, Arch Rock Brewing Company, Chetco Brewing Company, and Reach Break Brewing, local rum from Charleston’s Stillwagon Distillery, and coffee from North Bend’s Bridgeview Coffee Roasters, Our celebration will include our famous Wall of Beer, auction, and jazz / roots / rhythm with T Bird and the DeMarzo Trio. This event raises money to support our Scholarship Program, our Youth Chapter, and coastal water sampling. When: Saturday, March 25, 2017, from 7 – 10 pm. 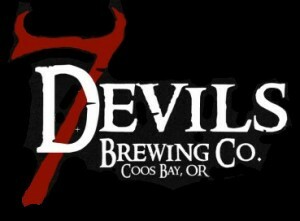 Tickets: available at 7 Devils Brewery, at Waxers Surf Shop, through our Facebook Page, or get online through EventBrite.